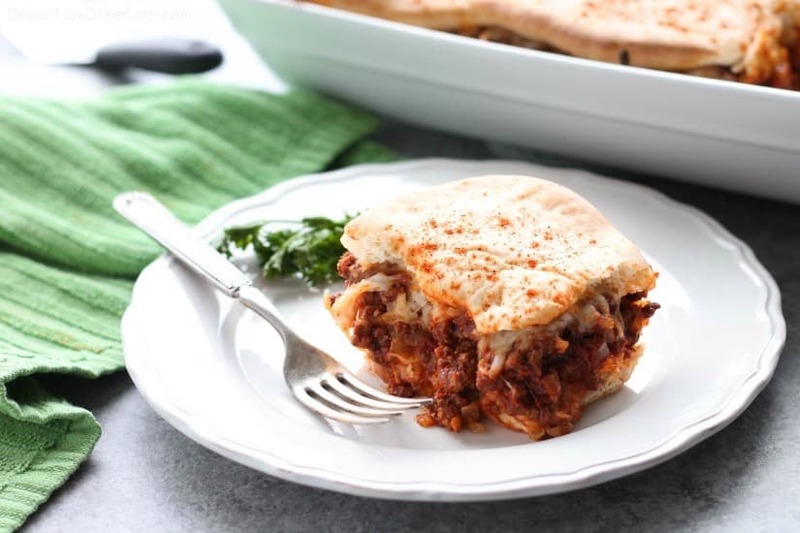 Sloppy Joe Bake - Dessert Now, Dinner Later! 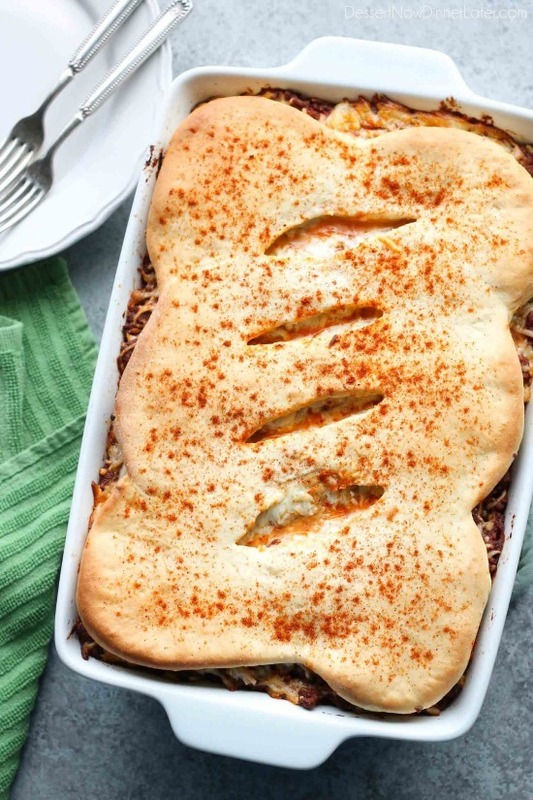 This meaty, cheesy, sloppy joe bake is total comfort food in a casserole. 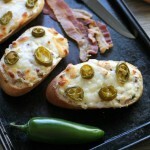 If you’re a sloppy joe fan, I think you’re going to love this twist on the typical sloppy joe sandwich. 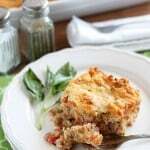 This meaty sloppy joe casserole is warm, hearty, and filling. It’s like a big sloppy joe sandwich in one dish, and it’s cheesy too! 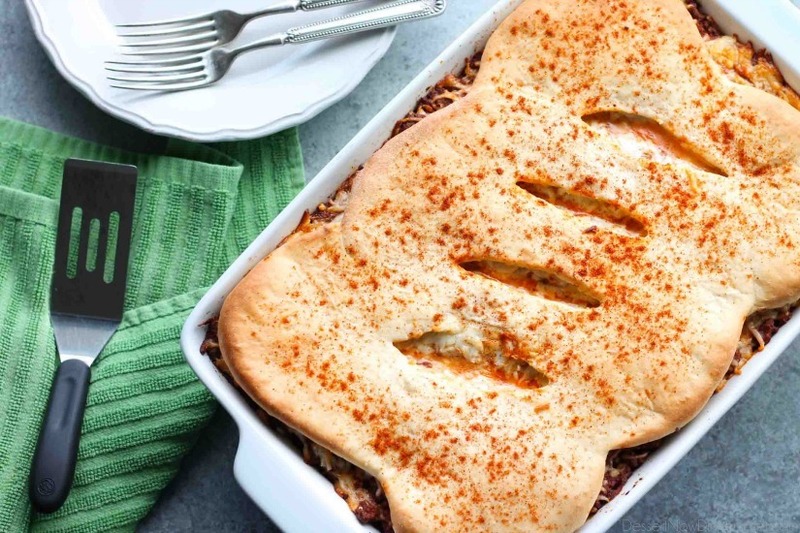 The thing that makes this casserole really cool, is that you are baking bread around the sloppy joe filling. 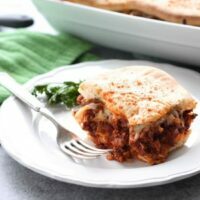 It gives it a whole new texture element than regular sloppy joes with a crisp, yet soft bread barrier, and did I mention there is cheese? Oh yes! Lots and lots of cheese! It’s ooey gooey, sloppy, meaty, cheesy pleasure. 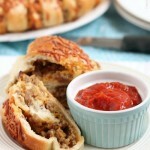 The TWO layers of cheese surrounding the sloppy joe filling helps keep the bread from going soggy too! 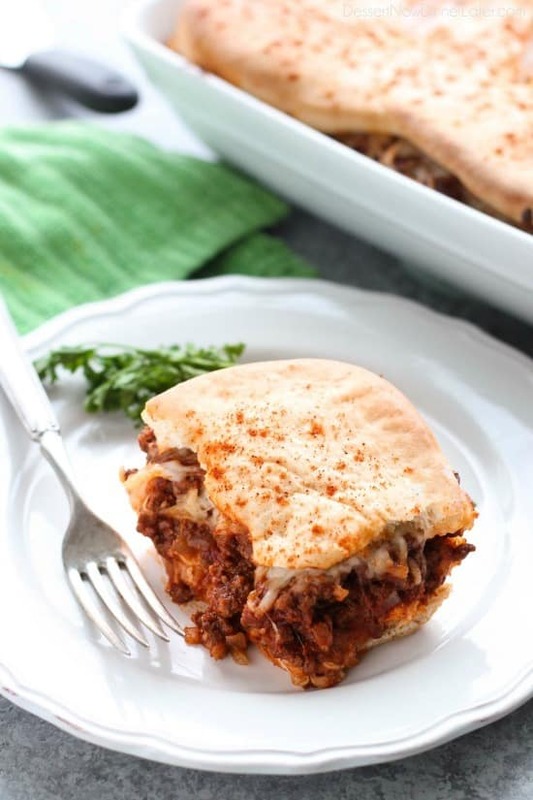 Good news for the clean freaks like me: This sloppy joe bake is way less sloppy to eat, which is how I like it! I mean, you’ll still need napkins, unless you use a fork, but it’s a lot less messy than it’s sloppy, drippy, sandwich counterpart. Of course I used Rhodes rolls for the bottom and top crust of this sloppy joe casserole because we LOVE Rhodes bread. It tastes homemade, without all the work, and makes this casserole a cinch to put together. 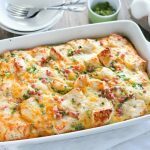 Enjoy fall, and all the casseroles the cooler weather has to offer, starting with this one! Recipe added 12/8/16. For a step-by-step photo tutorial, visit the Rhodes Bake-N-Serv Blog. Spray countertop lightly with non-stick cooking spray. Combine 8 rolls and roll into a 10 x 14-inch rectangle. Cover with plastic wrap and let rest. Brown ground beef and onions and drain well. Add sloppy Joe sauce and let simmer for a few minutes. Remove plastic wrap from dough and place the dough in the bottom of a sprayed 9 x 13-inch baking pan. Poke dough several times with a fork to prevent bubbles from forming and pre-bake at 350 degrees Fahrenheit for 15 minutes. While crust is baking, combine remaining 6 rolls and roll into a 10 x 14-inch rectangle for the top crust. Cover and let rest. Sprinkle 2 cups grated cheese over baked crust. Spread meat mixture evenly over cheese. Top with remaining 2 cups cheese. Remove plastic wrap from the top crust and place it over the cheese. Cut slits at regular intervals in the top crust. Sprinkle lightly with chili powder. Bake at 350 degrees Fahrenheit for 20 minutes or until meat mixture is bubbly and top crust is golden.